Mycology and Pathology Lab, Department of Botany, Osmania University, Hyderabad, India. Received 1 May 2011; revised 8 June 2011; accepted 20 July 2011. Arbuscular Mycorrhizal (AM) fungi are key components of soil microbiota and obviously interact with other microorganisms in the rhizosphere which is the zone of influence of plant roots on microbial populations and other soil constituents. The microbial associates are more prone to general and annual fluctuations besides several abiotic factors such as environment and climatic factors which influence the whole process of AM—microbial interactions. Keeping in view, the importance of AM fungi the present study was undertaken for assessing the AM fungal spore population dynamics in the rhizosphere soil and its colonization, microbial (bacterial and fungal) population distribution in rhizosphere and nonrhizosphere soils as a function of seasonal variation in relation to soil physico-chemical factors associated with two legume crop plants collected from different districts of Andhra Pradesh state, India. AM fungal propagules and species were found to be well distributed varying in number from 12 to 89 spores per 10 gram soil in mungbean and 46 to 90 spores in soybean rhizosphere soils and per cent root colonization in mungbean ranged from 36.74% to 90.68% however, in soybean it ranged from 23.58% to 76.92%. The 24 AM fungal species representing 4 genera were isolated, Glomus represented 12 spp. forming predominant genus. The Pearson Correlation coefficient data showed that the microbial population and AM fungal population and species, the degree of root colonization by native AM fungi varied significantly in two legume crop plants and influenced by soil edaphic factors. Significant negative correlation was recorded between root colonization and mean spore density of both the crops indicating that low levels of spore density are associated with high root colonization. The quantity and type of AM propagules also affected the dynamics of root colonization, which were also increased by increase in age of the crop plant. Vesicular Arbuscular Mycorrhizal (VAM) fungi are the most commonly occurring mycorrhizal fungi and most ubiquitous in their distribution [1,2]. They are associated with almost all plants in nature [3-5]. Over the past several years, there has been growing appreciation of the importance of AM fungi on terrestrial ecosystems [6-8]. Arbuscular Mycorrhizal (AM) fungi play a major role in soil fertility, nutrient acquisition  especially uptake of phosphorus from the soil and thereby enhancing plant vigor , enhance growth, yield, provide greater resistance to plant diseases  and increase tolerance to drought . The rhizosphere is a site of complex interactions between plants and microorganisms, where environmental factors such as soil physico-chemical parameters as well as fertilizers or cultivation practices may have large effect on microbial communities. The rhizosphere, where AM fungi and soil fauna and flora coexist, is constantly changing because of environmental and plant growth factors. The activity of rhizosphere-inhabiting microorganisms exerts a significant effect on plant health. Depending on the type of interaction between host, symbiont and the environment, the degree of colonization of roots by AM fungi varies. The AM fungi may alter host nutrient status and thus in turn influence the relationship between the plant and other rhizosphere mycoflora. AM colonization varies with change of season. Seasonal effects also influence the establishment of plants under field conditions, depending on the efficiency of indigenous fungi. Therefore, there is a need to take a close look at the nature of natural processes that help to increase the crop yield and quality with more efficient use of nutrient inputs, reduced need for pesticides. Arbuscular mycorrhizal fungi, the “hidden heroes” of nutrient deficient soils especially phosphorus can provide support for management of nutrients and maintenance of better crop growth. Because of the public concerns about the side effects of agrochemicals, more attention is now being given to research areas concerning biological balance in soil, microbial diversity or microbial dynamics in soil, etc. This is why the study of interactions in the mycorrhizosphere is a topic of current concern. Despite the importance of mycorrhiza in agriculture and forestry, little work has been done regarding their distribution, diversity and presence of other microbial flora in the rhizosphere soil associated with the two legume crop plants in the districts of A. P.
Pulse crops or grain legumes are major source of protein in the predominantly vegetarian diet of the people of India. India, probably grow a great variety of pulses than any other country. Year by year area of crop grown, production, yield potential per hectare is declining due to several reasons which are serious yield reducers and contribute substantially to instability of production. Plant pathology can play a very vital role in increasing pulse production, if we identify the pathological constraints properly and carry out problem-oriented research. Keeping in view, the importance of AM fungi the present study was undertaken for assessing the AM fungal spore population dynamics in the rhizosphere soil and its colonization, microbial (bacterial and fungal) population distribution in rhizosphere and nonrhizosphere soils as a function of seasonal variation in relation to soil physicochemical factors associated with two legume crop plants collected during different time intervals and from different field sites (places) of Adilabad, Karimnagar and Nizamabad districts of A. P., India. The present study was carried out with two selected legume crop plants mungbean [Vigna radiata (L.) Wilczek] and soybean [Glycine max (L.) Merr.] naturally cultivated in the fields of Adilabad, Karimnagar and Nizamabad districts located in Andhra Pradesh, India, from the period February, 2009 to October, 2009. Samples were collected at monthly intervals starting from four weeks after germination to harvest, at different growth periods of the host plant and also during different seasons. Three distinct seasons are recognized in a year. Summer (March-June) is hot and dry, rainy season (June-September) is warm and wet and winter (October-February) is cool and dry. The area receives annual rainfall between 847 mm to 940 mm mostly during monsoon period (June to September). The summer temperatures range between 20˚C to 41˚C and winter temperatures from 12˚C to 30˚C. At each sampling, one plant was collected from each of the three randomly selected sites in every field site and three samples were collected from each site. These rhizosphere soils (dug carefully taking care to keep fine roots intact) collected at the end of each month were pooled together to form a composite sample and stored in polyethylene bags at 5˚C for further analysis. From each composite sample, three replicates were taken for further analysis. The soil samples were collected at different stages of plant growth i.e between 25 - 30 days crop growth period (d1), 50 - 60 days (d2) and the third sample before harvest (d3) from different locations (field site) of the host plant grown under natural conditions. The physico-chemical characteristics of soils such as soil texture (feel method ), moisture content (%), soil reaction (pH) by glass electrode method (1:2.5 soil water suspension), soluble salts (Electron Conductivity by conductivity bridge method), Organic Content by rapid titration method , available phosphorus by Olsen’s method , available potassium  were estimated. The rhizosphere soil samples in three replicates were used to determine AM spore population from 50 grams portion of soil. The AM fungal spores were isolated from composite soil samples by employing “wet sieving and decanting technique”  and were quantified by using the “grid-line intersect method” . Results were expressed as mean of three replicates for each sample. The abundance of spores determined for each sample was expressed as the number of AM fungal spores per 10 grams of soil for all the samples studied. Intact spores and sporocarps were mounted in lactophenol and identified according to their spore morphology by using taxonomic key [17,18]. The qualitative estimation was expressed as percentage frequency occurrence of AM fungal species. The isolated fungi were identified on the basis of colony morphological characters upto species level by following standard manuals [22,23]. The qualitative enume ration was expressed as frequency occurrence of fungal spp. Statistical Packages for Social Sciences (SPSS) (Systat Co., http://www.spss.com) 16.0 version package were used for the statistical analysis of the data. The influence of the variables (pH, EC, moisture content, AM spore density, per cent root colonization, microbial population of rhizosphere and nonrhizosphere soils) and their interactions with subjects [location (L), day (D), field (F)] effects and between subject effects were tested with a two-way analysis of variance (2-way ANOVA) at 0.05% level of significance where the ANOVA explained significant effects by the variables.Pearson Correlation analysis was performed to assess the relationship between AM fungal spore density of rhizosphere soils, per cent root colonization by mycorrhizal fungi, bacterial and fungal population of rhizosphere and nonrhizosphere soils and soil edaphic factors at 0.01% and 0.05% levels of significance and found a good association between them. The data on rhizosphere soil analysis of physico-chemical characteristics presented in Table 1 shows that the soil texture varied from sandy clay to clayey type, black, brown and red in color, pH was neutral (7.2) to moderately alkaline (7.9), Electron Conductivity (EC) ranged from normal (0.20 mmhos/cm) to satisfactory levels (0.76 mmhos/cm) thereby, indicating no likelihood of salinity problem affecting plant growth. The soils were optimum in nutrient levels particularly with Organic Carbon ranging from low (<0.5%) to medium (0.5% - 0.75%) levels, moisture content from 17% to 19%, levels of potassium were moderate to high (94-above 240 kgs/ Acre), interestingly available phosphorus levels ranged from lowmedium (4 - 45 kgs/Acre). Usually kharif falls in the months of June/July - October/November, rabi and summer in the months of October/November - January/February; January/February - March/April respectively. Kharif receives enough water, moisture, experiencing good rainfall, average temperatures besides receiving nutrients in required proportions. Rabi and summer crop (irrigated) being dry period experiences high temperatures, low moisture and less nutrient availability. The data of AM fungal propagule number of rhizosphere soils, per cent root colonization, microbial (fungal and bacterial) population of the rhizosphere and nonrhizosphere soils under natural conditions supporting mungbean and soybean during different time intervals of the present study is summarized in Table 2. Table 1. Physico-chemical factors of the rhizosphere soils of mungbean and soybean host plants collected from different locations and at different intervals. Table 2. Arbuscular Mycorrhizal fungal colonization, spore density, bacterial and fungal population in the rhizosphere and nonrhizosphere soils of mungbean and soybean fields during February 2009 to October 2009 from different locations of Andhra Pradesh, India. bers of spore propagules were observed in the soils of Adb (Adilabad), and Nzb (Nizamabad) supporting soybean and mungbean respectively during Kharif season when the crop growth period was 30 days. Mungbean supporting soils of Adb. showed maximum abundance of spores recording 60 spores per 10 gram soil during February (winter season) thereby, declining steadily and attaining minimum (12 spores per 10 gram of soil) during the month of April (mid-summer). The same trend was observed in the soils of Adb. during kharif showing steady decline in spore count at the time of harvest in the two field sites studied. Whereas, Kmr. (Karimnagar) soils showed gradual increase in spore count from 25 - 52 spores per 10 gram soil in the kharif season (July-September). It is evident from the data that there is increase in spore count with increase in age of the plant growth period showing association of highest propagule number during the time of harvest. Soil supporting soybean showed good variation in propagule number recording maximum spore number associated in the month of July and August at 30 days crop growth period thereby showing reduction during the time of harvest. In general, an increasing trend in spore density was noted from 30 - 60 days of plant growth period in the field sites investigated, recording maximum spore count at 45 - 60 days crop growth period. However, the spore density declined at harvesting stage. It is also evident from the data that the spore density differed from one field site to another. However, maximum abundance of AM fungal spore population was recorded during kharif (rainy season). Association of propagule number is also related to seasonal temperatures and moisture content, which is evidenced with least spore count in the month of April (mid-summer season). The AM fungal species isolated from the present soils during the year’s survey exhibited the association of 24 species representing 4 genera. From among 24 AM fungal spp. isolated Glomus represented 12 spp. forming predominant genus, Acaulospora represented 8 spp., Gigaspora 3 spp. and 1 sp of Sclerocystis. The 12 Glomus spp. isolated were G. mosseae, G. fasciculatum, G. aggregatum, G. microcarpum, G. clarum, G. intraradices, G. etunicatum, G. multisubstensum, G. epigeum, G. rubiformis, G. reticulatum, G. constrictum, 8 spp. of Acaulospora were A. laevis, A. mallea, A. scrobiculata, A. denticulata, A. lacunosa, A. bireticulata, A. foveata, A. morrawae, 3 spp. of Gigaspora were G. gigantea, G. nigra, G. elegans, and 1 sp. 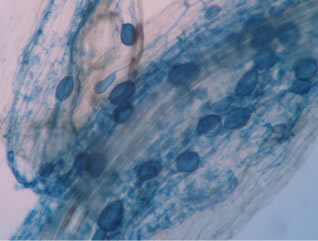 of Sclerocystis was S. sinuosa. G. fasciculatum, G. constrictum, G. clarum, G. intraradices, A. foveata, A. laevis were found to be predominantly occurring in terms of spore density and associating at different time intervals. Both the crop plants studied tested positive for AM fungal colonization in the roots during all the seasons. The colonization of AM fungi in the roots however differed from location to location. 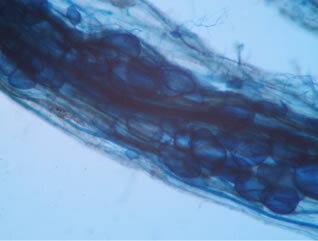 Root colonization of AM fungi was characterized by the presence of hyphae, hyphal coils, vesicles and arbuscules. The data summarized in the Table 2 showed that per cent root colonization in mungbean ranged from 36.74% to 90.68% however, in soybean it ranged from 23.58% to 76.92%. Further observations showed gradual increase in per cent root colonization with increase in crop growth period showing maximum during the period of harvest in both the host plants and in all the field sites studied. This shows that increase in per cent root colonization is directly proportional to the increase in plant growth period. Regarding the variations in fungal structures of mycorrhizal fungi in root samples of the summer crop the mycelium was abundant (Figures 1(a) and (b)), vesicles and arbuscules were moderate in number. In the samples of kharif season though mycelium was abundant vesicles were moderately found in soybean (Figure 1(c)) and sparse in mungbean (Figure 1(d)). With increased colonization mycelium, vesicles and arbuscules were found to be very abundantly associated in both the crop plants as shown in Figures 1(e)-(j), accordingly the roots were heavily colonized both qualitatively and quantitatively. 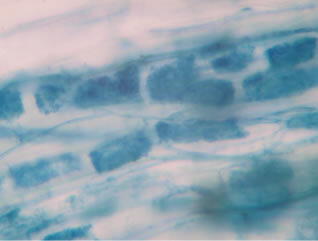 Sporocarps were observed inside the root cortical cells of both the host plants (Figures 1(k) and (l)). The present study showed that there is a wide range of variation in spore number during different seasons. There is also variation in per cent root colonization but there is no correlation existed between spore number and per cent root colonization. This is because AM fungal spores showed reduction in number recording least count whereas, per cent root colonization was maximum at harvesting stage. The plant growth period seems to have favoured per cent root colonization, which is a measure of mycorrhizal effectiveness. The data summarized in the Table 2 shows that bacterial population of rhizosphere and nonrhizosphere soils supporting mungbean ranged from 9.9 – 31.8 × 106 and 3.3 – 17.5 × 106 cfu per gram of soil respectively whereas, that of soybean ranged from 9.3 – 29.8 × 106 and 6.0 – 9.2 × 106 cfu/g soil respectively. The fungal population of rhizosphere and nonrhizosphere soils supporting mungbean ranged from 1.0 – 4.5 × 105 and 0.4 – 1.7 × 105 cfu/g soil respectively whereas, soybean supporting soil showed population range from 1.6 – 3.8 × 105 and 0.4 – 1.6 × 105 cfu/g soil of soil respectively. The population of fungi and bacteria occurred in lower count in the nonrhizosphere soils than in corresponding rhizosphere soils and are significantly affected by plant development. The bacterial populations were predominant in number compared to fungal population. Figure 1. A (10X) Internal hyphal colonization by AM fungi in soybean; B (40X) Internal hyphal colonization in mungbean; vesicular colonization (C (40X) & E (10X) in soybean; D (40X) & F (10X) in mungbean); arbuscular colonization (G (10X) & J (40X) in soybean; H (10X) & I (40X) in mungbean); K & L sporocarps in the root cortex (mungbean & soybean). month of June (kharif season) in the soils supporting soybean of Nzb. and Adb. showing a steady rise upto the month of October. Same trend was observed in the soils supporting mungbean of Kmr. and Adb. during the months of July to October recording maximum of 31.8 × 106 cfu/g soil. It is evident from the data that there was a wide range of variation in the fungal population showing gradual increase in number from February-April in the soils supporting mungbean of Adb. Further observations showed a steady increase in population from the month of July to October in the soils supporting both the crops attaining maximum number during October (3.8 × 105 cfu/g soil). 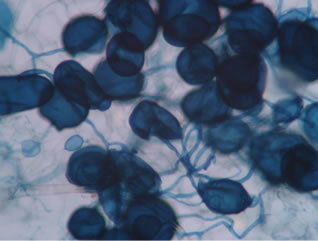 In the present study a total of 14 species of Aspergillus, 8 spp. of Fusarium, 6 spp. of Pencillium, 2 spp. each of Curvularia, Colletotrichum, Cladosporium, Alternaria. 1 sp. each of Chaetomium globosum, Trichoderma viride, Paecilomyces sp., Stachybotrys atra, Drechslera specifer, Humicola sp., Sclerotium rolfsii, Macrophomina phaseolina, Rhizoctonia solani, Pythium aphanidermatum, Rhizopus nigricans, Mucor racemosus, Periconia cookei, Acremonium vitis, Syncephalastrum racemosum and Cephalosporium roseum were isolated from the rhizosphere and nonrhizosphere soils. The spp. of Aspergillus isolated were A. terreus, A. flavus, A. niger, A. fumigatus, A. nidulans, A. sydowi, A. awamori, A. candidus, A. fischeri, A. ochraceous, A. flavipes, A. versicolor, A. sulphureous, A. terricola; the spp. of Fusarium were F. oxysporum, F. monoliformae, F. solani, F. equiseti, F. dimerum, F. poae, F. javanicum, F. avenaceum; Penicillium spp. were P. restrictum, P. griseum, P. thomi, P. oxalicum, P. rubrum, P. chrysogenum; 2 spp. of Curvularia were C. lunata, C. clavata; 2 spp. 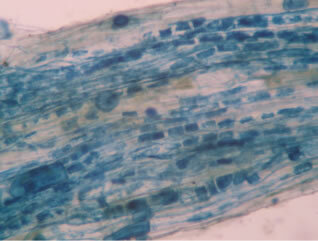 of Colletotrichum were C. falcatum and C. gleosporioides, 2 spp. 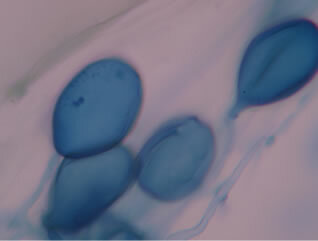 of Cladosporium were C. cladosporioides, C. lignicola, 2 spp. 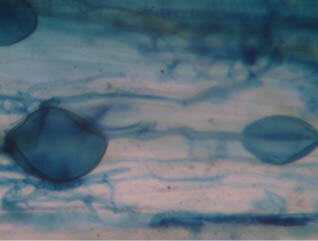 of Alternaria were A. alternata, A. tenuis. In the present study frequency of occurrence of saprophytes (Aspergillus, Mucor, Rhizopus, Penicillium and Rhizoctonia) and biocontrol agents (Cladosporium, Trichoderma, Chaetomium) were higher. Aspergillus is observed to be an important component of the present soil fungal flora constituting 16% - 90% of the total population. Highest frequency of occurrence was observed during March to August dominating over the other fungi. A. terreus, A. flavus, A. niger were observed to be predominantly occurring in all the soils of the present study with A. terreus showing highest incidence of occurrence (70% - 95%) from February to April followed by A. niger and then A. flavus. The fact is that the predominant occurrence during summer when the temperatures were high and the soil is relatively dry showed the ability to resist the deletorius summer conditions. Though the soil of soybean showed the same trend, the incidence of occurrence was low compared to mungbean soils. 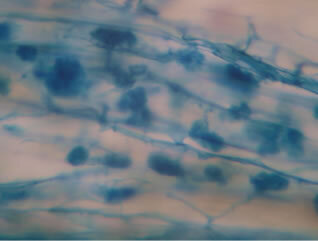 However, there was a steady decline in the occurrence of Aspergillus sp. in the month of July to October recording the lowest number in the month of October. Further observations showed increase in population of Fusarium spp. during the months of August-October when there was reduction in population of Aspergillus sp. 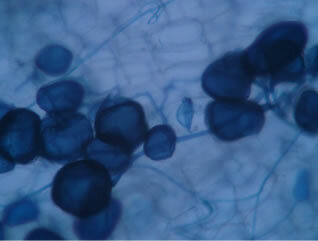 High incidence of Aspergillus sp. during the months of March and April (summer) may be attributed to high temperatures. In the soils where Trichoderma was predominant there was a reduction in the population of other fungal spp. Interestingly, in the present study there was suppression in the incidence of occurrence of root pathogenic fungi viz., Alternaria, Fusarium, Dreschlera and Macrophomina. ANOVA analysis data at 0.05% and 0.01% level of significance in mungbean and soybean explained that soil physico-chemical factors and the parameters studied varied significantly and was found good association among the subjects and subject interaction effects. The data presented in Table 3 shows that in mungbean per cent root colonization exhibited significant positive correlation with fungal population in rhizosphere soil at 0.05% however, exhibited significant negative correlation with moisture content at 0.01% and with spore density and available phosphorus (0.05%). Whereas, in soybean significant positive correlation was exhibited with EC at 0.05% and with fungal population of rhizosphere and nonrhizosphere soils at 0.01% however, exhibited significant negative correlation with moisture content at 0.05% and spore density at 0.01%. In mungbean spore density exhibited significant positive correlation with moisture content and available phosphorus at 0.01% and with levels of potassium at 0.05% however, exhibited significant negative correlation with per cent root colonization at 0.05% and with fungal population in nonrhizosphere soil at 0.01%. Whereas in soybean significant positive correlation was exhibited with moisture content at 0.01% and per cent root colonization, fungal population of rhizosphere and nonrhizosphere soils and EC at 0.01%. Bacterial population in rhizosphere soil in mungbean exhibited significant positive correlation with bacterial population in nonrhizosphere soil at 0.01% however, exhibited significant negative correlation with pH and EC at 0.05%. Whereas, in soybean bacterial population of rhizosphere soil exhibited significant positive correlation with fungal population of rhizosphere soil however, exhibited significant negative correlation with moisture content at 0.05%. Bacterial population in nonrhizosphere soil on mungbean exhibited significant positive correlation with bacterial population of rhizosphere soil, fungal population of rhizosphere and nonrhizosphere soil at 0.01% however, exhibited significant negative correlation with pH at 0.05% and levels of potassium at 0.01%. Whereas, in soybean significant positive correlation with fungal population in rhizosphere and nonrhizosphere soil at 0.05% and 0.01% respectively. However, exhibited significant negative correlation with pH and moisture content at 0.05% and 0.01% respectively. Table 3. Pearson’s Correlation coefficient (r) between AM fungal spore density, per cent root colonization, microbial population and edaphic factors of rhizosphere soils of mungbean and soybean crops. potassium at 0.01%. Whereas, in soybean significant positive correlation was exhibited with per cent root colonization and fungal population in nonrhizosphere soil at 0.01% and with bacterial population in rhizosphere and nonrhizosphere soil and available phosphorus at 0.05% however, exhibited significant negative correlation with spore density and moisture content at 0.01% level of significance. In soybean levels of potassium exhibited no significant correlation with any of the parameters studied. Fungal population in nonrhizosphere soil on mungbean exhibited significant positive correlation with bacterial population of nonrhizosphere soil and fungal population of rhizosphere soil at 0.01% however, exhibited significant negative correlation with spore density at 0.01% and with moisture content, levels of potassium at 0.05%. Whereas, in soybean significant positive correlation was exhibited with per cent root colonization, bacteria population in nonrhizosphere soil, fungal population of rhizosphere soil, EC, and available phosphorus at 0.01% however exhibited significant negative correlation with spore density and moisture content at 0.01% level of significance. The results of the present study ambiguously reveal the abundance of AM fungal spore association in the soils supporting mungbean and soybean of Adb. and Nzb. dist. confirming the formation of AM in both the crop plants grown in the semi-arid tropical soils. Kharif season generally yielded more AM fungi than rabi crops presumably due to the availability of moisture, specific root exudates, aeration, moderate temperatures and necessary nutrients. The soils of the present study are deficient in phosphorus, moisture content and other nutrients a condition similar to that of semi-arid tropics. Generally, a beneficial effect of AM fungi has been observed under suboptimal nutrient status of soil . The legume crops of the present study developed AM root colonization in their root tissues ranging from 23.58% - 90.68% and housed AM spores with a density of 12 - 90 spores/10 g rhizosphere soil similar to the findings of [25,26]. It is also apparent from the present study that the spore density of AM fungi varied significantly in two legume crops which is in agreement with the earlier findings  who reported similar results in four grape vine rootstocks and in papaya. The data of Pearson Correlation coefficients showed that significant negative correlation was recorded between root colonization and mean spore density of both the crops indicating that low levels of spore density are associated with high root colonization potential. Contradictory to this, absence of correlation recorded between root colonization and spore density of AM fungi can be attributed to the fact that spore numbers may poorly reflect the colonization potential of the soil and they are not always related to the rate and the extent of mycorrhizal formation. In the present study, moisture content exhibited significant negative correlation with per cent root colonization and positive correlation with spore density indicating that the moisture content could accelerate root colonization and spore density. In the soils of present study, the average moisture levels of about 17% - 20% has been apparently favourable for high spore density and maximum root colonization. The data of the present study suggested that the AM fungal spore density was influenced by the crop growth period. It is also possible that the root exudation might have influenced the spore density. In conclusion, the spore count increased with increase in crop growth period in all the field sites showing reduction in spore count before harvest, which coincides with the senescence of the host when the root growth was very slow similar to earlier observations . In the rhizosphere soils of mungbean (Adb) and soybean (Nzb. and Adb) maximum propagule number was observed in the month of July and Aug. (rainy season), which coincides, with the flowering time of the host plant. AM sporulation and plant flowering might be related because at this time most photosynthate is allocated to roots, which helps fungal symbiont to produce more spores . In the present study maximum root colonization was observed during rainy season in both the crop plants correlated the findings of . The AM spore population and per cent root colonization was more in rainy season because roots showed better growth during this season and active root growth provided more entry points to AM fungi . In the present study, pH of the soil was neutral to moderately alkaline and recorded no significant correlation with per cent root colonization in both the crops and spore density in soybean. However, exhibited significantly negative correlation with spore density in mungbean, which is in agreement with the earlier findings . In the present study soils the available soil phosphorus levels were optimum. Although, the fluctuation range of the soil phosphorus was narrow, it was seen to be significantly positively correlated with spore density in mungbean and negatively correlated with per cent root colonization in mungbean and spore density in soybean. The significantly negative correlation between mean spore density, per cent root colonization and available soil P recorded in the present study is in agreement with the earlier findings [27,32], who reported the distribution and ecology of AM fungi in Citrus nurseries and spatiotemporal variations of AM fungi in papaya plantations. Wu et al. reported significant negative correlation between per cent root colonization and soil available soil P content indicating that lower available P could accelerate the colonization on Citrus roots. However, further reported that the spore density was significantly negatively correlated with soil available phosphorus content, suggesting that soil available phosphorus could inhibit the increase in spore density and these reports are in agreement with our findings on soybean crop. In the present study AM spore population is found to have seasonal variation with low moderate levels of phosphorus similar to the results of several workers. The overall growth rate of AM fungi in the present soils correlated with P deficient soils. In the present study absence of significant correlation between root colonization and potassium in both the crops attributing to the fact that high levels of potassium poorly reflected the colonization potential of the soil similar to the earlier findings , who reported the absence of correlation between the two Citrus nurseries of California. In the present study high levels of available K positively influenced the mean spore density of AM fungi associated with rhizosphere soil in mungbean. Many studies have evaluated the influence of organic matter on arbuscular mycorrhizae  with very different results, indicating variable responses on plants and fungi. In the present study organic carbon content of the soil ranged from low to medium levels that showed to influence high root colonization of AM fungi and maximum spore density similar to the findings of , who reported high root colonization of AM fungi in Vineyards with low OC. In the present study absence of significant correlation between EC and mean root colonization and spore density in mungbean suggests that EC have no effect on symbiotic colonization in root tissues or may poorly reflect the colonization potential. Further, EC positively influenced the root colonization by AM fungi and negatively influenced the mean spore density in soybean. The identification of indigenous AM fungi is a fundamental requirement to understand biodiversity and essential for monitoring changes in natural, managed or disturbed ecosystems. Diversity in AM fungi can be explored at this level by studying spore characteristics and colonization patterns in different agricultural crops, including different varieties of the same crop. The AM fungi are abundant and ecologically very important in the tropics . The present study brings out the enumeration of various spp. 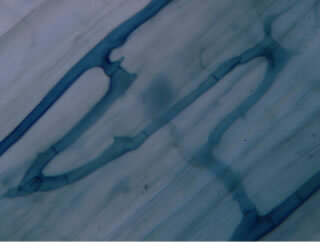 of AM fungi associated with two legume crop plant. A total of 24 spp. of AM fungi belonging to 4 genera viz., Glomus, Acualospora. Gigaspora and Sclerocystis were recovered from the rhizosphere soils. However, in the study on spatial-temporal variations of AM fungi in papaya plantations, 15 spp. of AM fungi from Collem [32,38]. In the present study, some species were quite common while others were encountered infrequently in the rhizosphere soil of legumes. AM fungi belonging to Glomus were the most representative type which could be attributed to the fact that the distribution of this genus is worldwide and that Glomus spp. apparently are the most common of AM fungi found in cultivated soils [27,32,38]. Also maximum number of Glomus spp. was found to be associated with forest tree species , medicinal herbs , tubers , bananas  and papayas [32,38,27] from Goa, India. Glomus was predominant genus associated with both the host plants rhizosphere soils that are neutral to moderately alkaline supported earlier observations  that in alkaline soils Glomus was frequently observed. Endophytes like Glomus constrictum, G. intraradices, G. fasciculatum, G. mosseae, G. clarum and G. aggregatum were highly abundant, while Gigaspora and Sclerocystis spp. Glomus multisubstensum, and G. etunicatum were of rare occurrence. Rest of the spp. showed intermediate values for the frequency of occurrence. The existence of Glomus as the dominant genus in the root zone indicates either the influence of the soil or the plant type . It may be due to the qualitative and quantitative nature of the exudates from the later. In the present study 12 spp. belong to genus Glomus. It indicates that about 50% of the AM species composition is made by the genus Glomus in this very typical cropland ecosystem. The genera Acaulospora, Gigaspora, and Sclerocystis accounted for the rest of the percentage represented by 8, 3, and 1 species respectively. From these results we can interpret that AM species have preference for their association with mungbean and soybean. In earlier studies several authors [45-47], have also observed dominance of Glomus spp. in the rhizosphere soils of other plants. Earlier author  observed that the fruiting stage reduces carbohydrate availability to the fungus which results in decreased production of spores. Similar observations were made in the present study in the both the crop plants. In general Kharif season experiences good precipitation, moisture, average temperatures and requisite quantities of nutrients. Accordingly, the crop plants were found to be heavily colonized both qualitatively and quantitatively. The results obtained from the present study suggests that the microbial population and AM fungal population and species, AM root colonization is influenced by soil edaphic factors such as nutrient status of the soil, seasons, soil temperature, pH, moisture content, Organic Content and host cultivar susceptibility. The quantity and type of AM propagules also affected the dynamics of root colonization, which were also increased by increase in age of the crop plant . Bacterial population in rhizosphere and nonrhizosphere soils of the present study were not significantly correlated with per cent root colonization and mean spore density. Absence of correlation may be attributed to the fact that the above two parameters were not significantly affected by bacterial population. Fungal population in rhizosphere and nonrhizosphere soils exhibited positive correlation with per cent root colonization and negative correlation with spore density. Further studies recorded that bacterial population in nonrhizosphere soils positively influenced the fungal population. High levels of K negatively influenced microbial population in mungbean and exhibited no significant correlation in soybean. In the present study rhizosphere soils are rich in microbial population, which leads to, increased microbial activity compared to nonrhizosphere soils. The increased number can be attributed to the enriching effect of root exudates, sloughed off cells leading to increased microbial activity that is characteristic to rhizosphere zone. The highly dynamic nature of the rhizosphere is reported earlier . It is well known that root exudates have a direct influence on the microbial population in the rhizosphere . The present investigation demonstrates the importance of antagonism where the pathogens (Fusarium, Alternaria and Macrophomina spp.) may be suppressed by the stimulation of biocontrol agents like Trichoderma and Chaetomium sp. Thus in the present study, qualitative and quantitative changes in the rhizosphere microflora may be attributed to the alteration in the root exudates of the crop plants studied. An interesting observation made in this investigation study was predominant occurrence of A. terreus which is a phosphatase producing fungi that has significance on the plant growth, nutrient uptake, enhance rhizosphere enzyme activity . Increased phosphatase activity may be correlated with increased AM colonization which is in agreement with findings of . This could be an additional favourable factor paving way for maximum AM colonization, propagule association and occurrence of AM fungal spp. In natural system , observed that seasonal fluctuations of mycorrhizal associations were closely related to plant phenology. This was observed in the present investtigation. The AM root colonization is a dynamic process, which is influenced by several edaphic factors such as nutrient status of soil, seasons, AM fungal strains, soil temperature, soil pH, host cultivar susceptibility to AM colonization and feeder root condition at the time of sampling. The present study shows good association of AM fungi in two legume crop plants in the agro-ecosystem. It also emphasizes the fact, that this symbiosis is controlled by various edaphic factors. Higher levels of fungal root colonization is an indication of better fungal root contact which is a prerequisite for increased benefits of AM symbiosis and better adaptation to present soils. Kharif and rabi seasons should be preferable (as root colonization and spore density was higher) for AM fungal inoculation as compared to summer season. The present study results showing increasing spore density and root colonization with increase in age of the crop plant offers the possibility of using AM fungi as a potential biofertilizer for enhancement of crop growth as well as productivity. Dr. A. Hindumathi is grateful to Department of Science & Technology, New Delhi for providing fellowship under Women Scientist Scheme-A (WOS-A) with grant No. SR/WOS-A/LS-195/2007. The authors greatly acknowledge Prof. Haragopal, Head, Department of Statistics, Osmania University, Hyderabad, India and Mr. Krishnaiah for statistical analysis of the data. Power, R.F. and Bagyeraj, A.E. (1986) Evaluation of Phosphorus assertion condition standard for suitable productivity on the United States. Soil Science Society of American, Special Publication, Medisons, 53-80. Harley, J.L. and Smith, S.E. (1983) Mycorrhizal symbiosis. Academic Press, London, 483. Dwivedi, O.P., Yadav, R.K., Vyas, D. and Vyas, K.M. (2003) Distribution of AM fungi in the rhizosphere soils of Betel vine. Indian Phytopathology, 56, 228-229. Bagyaraj, G.J. (1986) Mycorrhizal association in crop plants and their utilization in agriculture. In: Nair, M.C. and Balakrishnan, S. Eds., Beneficial Fungi and Their Utilization, Scientific Publication, Jodhpur, 59-72. Mosse, B. (1972) The influence of soil type and Endogone strain on growth of mycorrhizal plants in phosphate deficient soils. Review of Ecological Biology Society, 9, 529. Ghosh, A.B., Bajaj, J.C., Rehanul, H. and Bhajan, S. (1983) Soil and water analysis—A laboratory manual, STL. Division of Soil Science and Agricultural Chemistry IARI, New Delhi. Olsen, S.R., Cole, C.V., Watanabe, F.S. and Dean, L.A. (1954) Estimation of available phosphorus in soils by extraction with sodium bicarbonate. USDA, Circular, 939, 19. Jackson, M.L. (1973) Soil chemical analysis. Prentice Hall, New Delhi. Adoleya, A. and Gaur, A. (1994) Estimation of VAMF spores in soil. Mycorrhiza News, 6, 10-11. Schenck, N.C. and Perez, Y. (1990) A manual for identification of vesicular arbuscular mycorrhizal fungi, INVAM. 3rd Edition, University of Florida, Gainsville. Dickinson, C.H. (1971) Cultural studies of leaf saprophytes. In: Deckinson C.H. and Preece. T.F. Eds., Ecology of Leaf Microorganisms, Academic Press, London. Nagamani, A., Kunwar, I.K. and Manoharachary, C. (2005) Handbook of soil fungi. I. K. International Pvt. Ltd., New Delhi. Gilman, J.C. (1957) A manual of soil fungi. 2nd Edition, The Iowa State University Press, Ames, 450. Wani, S.P., and Lee, K.K. (1995) Exploiting vesicular arbuscular mycorrhizae through crop and soil management practices. Mycorrhiza News, 6, 1-7. Akond, M.A., Mubassara, S., Rahman, M., Alam, S. and Khan, Z.U.M. (2008) Status of Vesicular Arbuscular (VA) mycorrhizae in vegetable crop plants of Bangladesh. World Journal of Agricultural Sciences, 4, 704-708. Khade, S.W., Bukhari, M.J., Jaiswal, V., Gaonkar, U.C. and Rodrigues, B.F. (2002) Arbuscular mycorrhizal status of medicinal plants: A field survey of AM fungal association in shrubs and trees. Journal of Economic and Taxonomic Botany, 26, 571-578. Khade, S.W. and Rodrigues, B.F. (2009) Arbuscular mycorrhizal fungi associated with varieties of Carica papaya L. in tropical agro-based ecosystem of Goa, India, Tropical and Subtropical. Agroecosystems, 10, 369-381. Sharma, S., Aggarwal, A., Prakash, V. and Mehrotra, R.S. (2005) Seasonal populational dynamics of vesicular arbuscular mycorrhizal fungi associated with Tectona grandis L. and Dendrocalamus strictus (Roxib.) Nees. Indian Phytopathology, 58, 163-166. Mason, P.A., Musoko, M.O. and Last, F.T. (1992) Short term changes in vesicular-arbuscular mycorrhizal spore populations in Terminalia plantations in Cameroon. In: Read, D.J., Lewis, D.H., Hater, H.A. and Alexander, I.J. Eds., Mycorrhiza in Ecosystem, Cambridge University Press, Cambridge, 261-267. Bhaskaran, C. and Selvaraj, T. (1997) Season incidence and distribution of VA—Mycorrhizal fungi in native saline soils. Journal of Environment Biology, 18, 209-212. Khade, S.W. and Rodrigues, B.F. (2008a) Spatial variations in arbuscular mycorrhizal (AM) fungi associated with Carica papaya L. in a tropical agro-based ecosystem. Biological Agriculture and Horticulture, 26, 149-174. Wu, Q., Xia, R. and Zou, Y. (2006) Arbuscular mycorrhizal fungal growth on citrus roots and its correlations with soil available phosphorus content and phosphatase activity. Journal of Applied Ecology, 17, 685- 690. Khanam, D. (2007) Assessment of arbuscular mycorrhizal association in some fruit plants in Bangladesh. Bangladesh Journal of Microbiology, 24, 34-37. Khade, S.W. and Rodrigues, B.F. (2008b) Ecology of arbuscular mycorrhizal fungi associated with Carica papaya L. in agro-based ecosystem of Goa, India. Tropical and Subtropical Agroecosystems, 8, 265-278. Khade, S.W. and Rodrigues, B.F. (2003a) Occurrence of arbuscular mycorrhizal fungi in tree species from Western Ghats of Goa, India. Journal of Tropical Forest Science, 15, 320-331. Bukhari, M.J., Khade, S.W., Jaiswal, V., Gaonkar, U.C. and Rodrigues, B.F. (2003) Arbuscular mycorrhizal status of medicinal plants: A field survey of am fungal association in herbs. Plant Archives, 3, 167-174. Khade, S.W. and Rodrigues, B.F. (2003b) Incidence of arbuscular mycorrhizal colonization in tubers of Glorisa superba L. Mycorrhiza News, 15, 14-16. Khade, S.W. 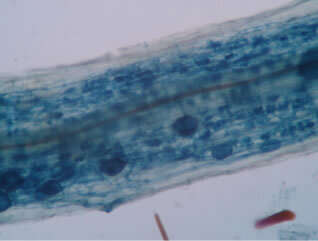 and Rodrigues, B.F. (2004) Populations of arbuscular mycorrhizal fungi associated with rhizosphere of banana (Musa sp.) as influenced by seasons. Mycorrhiza News, 16, 11-13. Vyas, D. and Soni, A. (2004) Diversity and distribution of VAMF in seminatural grassland. Indian Journal of Ecology, 31, 170-171. Vyas, D., Mishra, M.K., Singh, P.K. and Soni, A. (2006) Studies on mycorrhizal association in wheat. Indian Phytopathology, 59, 174-179. Chandra, K.K. and Jamuluddin (1999) Distribution of vesicular arbuscular mycorrhizal fungi in coalmine overburden dumps. Indian Phytopathology, 52, 254-258. Katznelson, H. (1965) Nature and importance of the rhizosphere. In Baker K.F. and Snyder, W.C. Eds., Ecology of Soil Borne Pathogens, University of California Press, Berkeley. Namdas, D.D., Bhosale, A.M. and Khilare, C.J. (2009) Rhizosphere and soil mycoflora of sorghum and tomato growing at Ahmednagar. Bioinfolet, 6, 244-245. Kennedy, J.Z. and Rangarajan, M. (2001) Biomass production root colonization and phosphatase activity by 6 VA-mycorrhizal fungi in papaya. Indian Phytopathology, 54, 72-77. Bohrer, K.E. and Amon, J.P. (2004) Seasonal dynamics of arbuscular mycorrhizal fungi in differing wetland habitats. 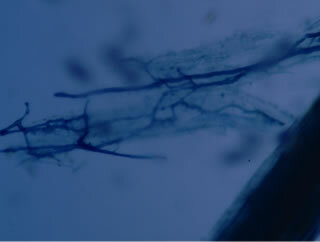 Mycorrhiza, 14, 329-337.